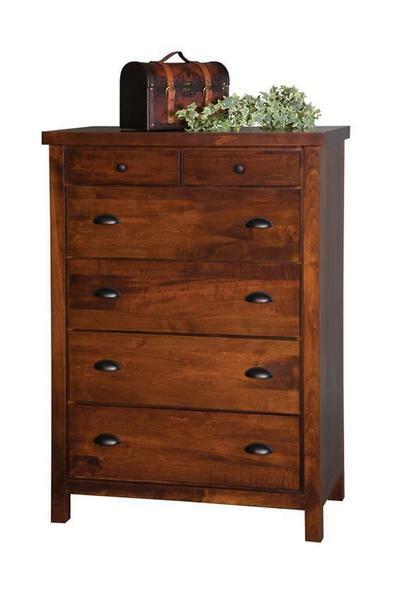 Place the Amish Times Square Chest of Drawers in your master bedroom or guest bedroom for added storage space that can be used for many years! Choose one of our six hardwoods for your new chest to be handmade out of and a finish color that goes well with the rest of your bedroom decor. The top on this Amish chest of drawers is 1 3/4" thick and all six drawers come standard with full extension drawer slides for easy access to your clothing and blankets stored away.